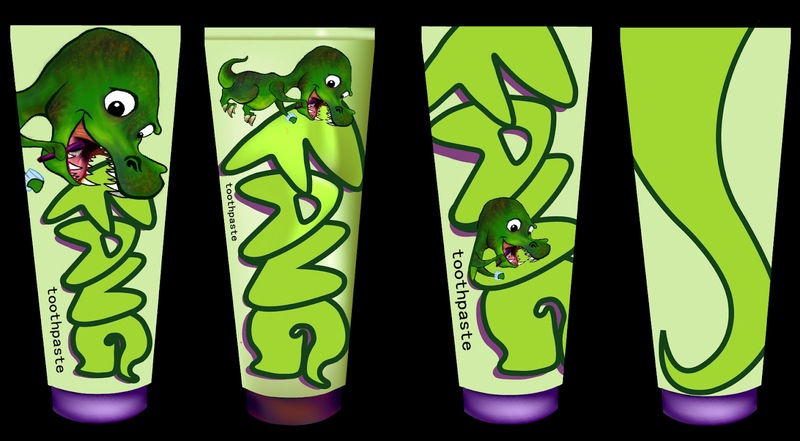 Here is a quick status report on my T-Rex toothpaste packaging design. Using Lightwave, I will model a bottle and then add the design over the top of it. After that, I will position my light and camera. I am using this method since using Lightwave to figure out my lighting source is less complicated than trying to individually add a gradient mesh to each and every letter. I still have yet to add this effect, but here is a rough idea of where I’d like to take this design. I still have yet to successfully use this mesh, but I am pleased with the outcome of the lettering. I am eager to try out my new solution.